The other day, we polled our readers asking if you trust Google's keyword suggestion tool. We received a lot of responses, well over 200 and I wanted to share them with you. 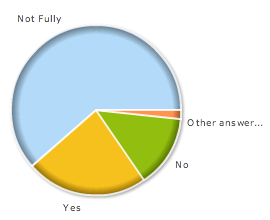 The majority, 76% said they do not fully trust the keyword tool. While 23% said they do trust the keyword tool. Trusting Google is not something most people do these days. Let me break down the results for you. Question: Do You Trust Google's Keyword Tool? Previous story: How Google Can Keep AdSense "Great"